"Did you hear the news? A new record store just opened in your neighborhood!" "Oh, come on... No one buys a CD anymore and everybody downloads all the files they want from the web! What's going on, there?" "You didn't get it - they are selling vinyl records!" This was, more or less, the way I became aware of the recent inauguration of the 12 INCH RECORD STORE. Here we are in Naples, Amedeo Sq. : near to metro and cable car stations, in a very busy zone. The store lies among a series of "shops" opened along a recently refurbished private alley, where now you can find not-exactly-mainstream business: a very refined men's tailor, an artisan jewelry maker, and so on. A further attraction of this alley: it starts with a very good wine shop and ends in front of a very traditional chocolate maker selling point :-P.
At walking distance, when I was young, you could find two of the more important record stores in the city, plus one of the major pushers of what were then called "import maxi-single", for the DJ market: all three nowadays long gone, after having been copiously financed by me (and other foolish people) ;-) Those sweet memories immediately pushed me towards deeper investigations. Let's immediately clarify that this store is selling only used records. It's a precise choice made by the two owners, Raffaele and Carlo Manna, hereafter pictured in their entrance hall. Raffaele and Carlo are cousins and both love music: they started buying records in their childhood. 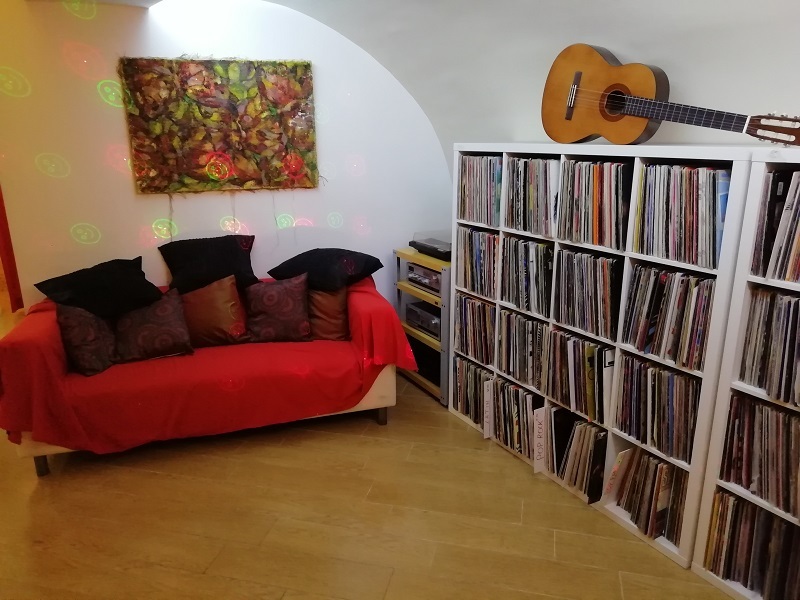 So, they ended up with a quite big collection of vinyl records, that brought to light the idea to start selling some of their pieces, at least to make room for the new arrivals. 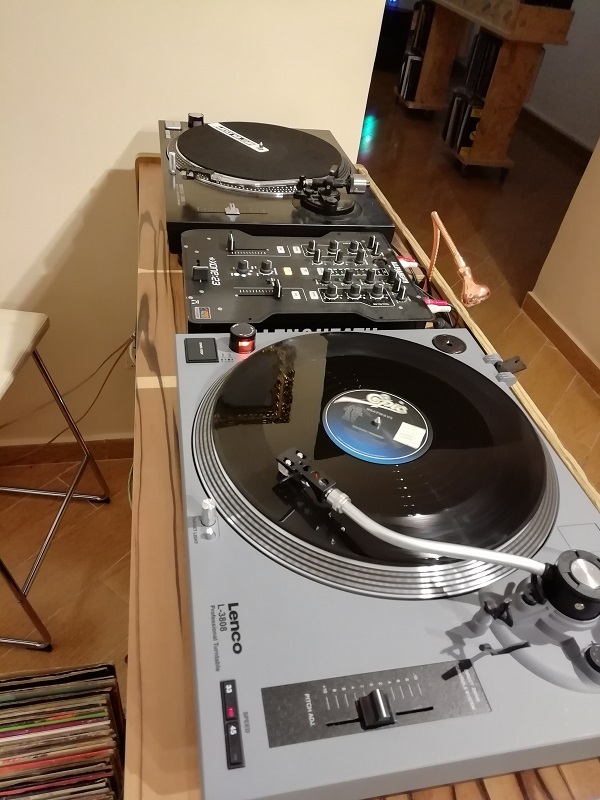 After little initial occasional exchanges, they developed a more structured selling activity, that was carried on while attending to the "real work" both of them have, so they registered on the DiscoGS website and used also other communication means. Then, their collection grew up so much (18.000 records...) that they had the need for more storage. Hence, the idea: if we have to pay the rent for a storage room, why don't we pay for something that is not only a "bigger record repository box", but, rather, a place where we can have a real contact with people, to move our commercial relationships from the virtual domain into the real one, to socialize, not to be social? Enter the new place. From the street, you have access to the first hall, where you can find the main listening console. Let me try to heal your audiophile shock :-) by pointing you to the loudspeakers, by region-based and world-famous Eventus Audio. where you can comfortably listen to the selected records via headphones. The Manna boys are thinking to use the shop also to host theme-based events, like, for instance, pre-dinner meetings, or wine-music pairing tastings (the wine shop at next door is held by a very competent sommelier), music-themed book launches, and so on. In the final room they could even provide headphone listening via sample gear (can amps, phono stages, you name it...) temporarily left by hi-fi producers willing to promote their brand. This is a good idea, for me - based on the last Munich shows I attended, to me, personal listening is the only audio market that is gaining real success. In late 80s, Raffaele was a radio DJ, and, since then, he has loved the music that was played in discotheques. 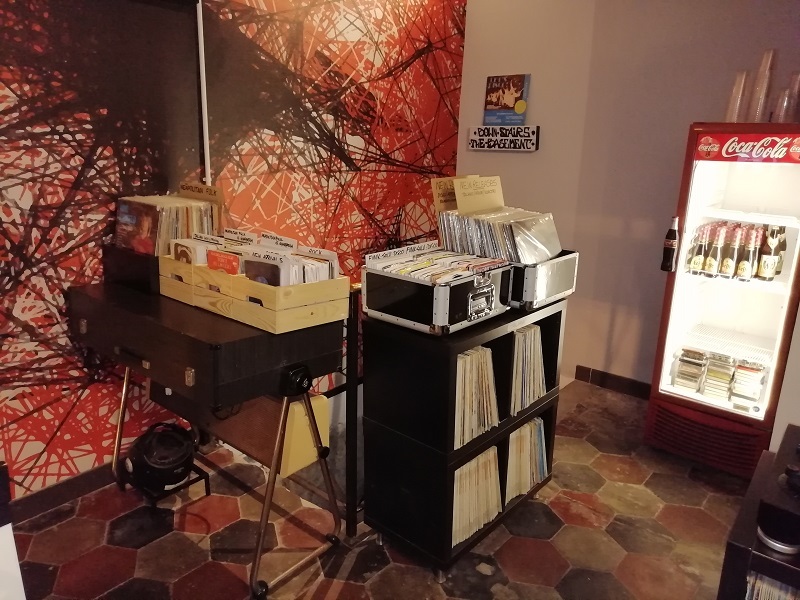 So, he started to accumulate lots of 12-inch maxi-singles (hence the name of this shop...) that eventually turn into a big capital that was heavily exchanged in the DJ market. Then, in 2016 he registered on the DiscoGS website: his username is DJRAF111. This international exposure boosted its selling and buying business; his customers are now all outside Italy and differ from country to country (Germans ask for House and techno, while in UK they ask for also the so-called Italo Disco). 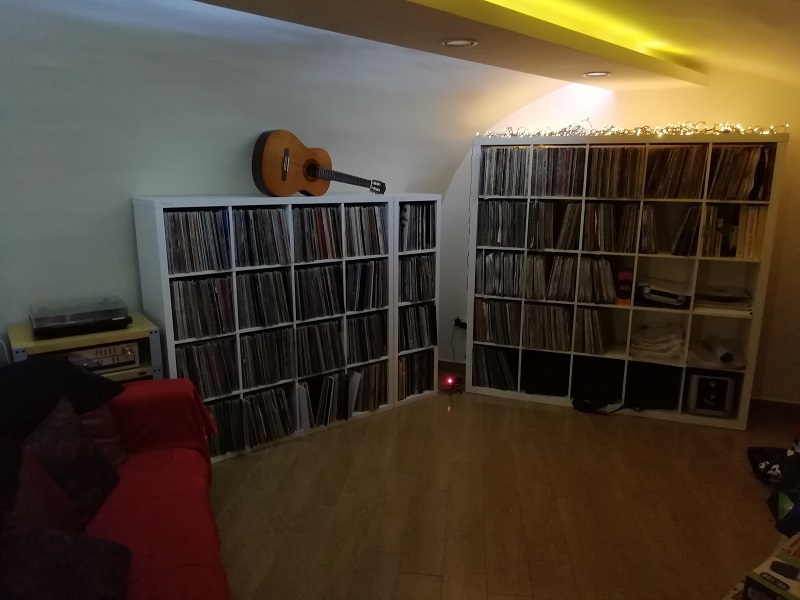 His collection includes also lots of Disco records, always dating back to the 80s - 90s period. A composer's son, also Carlo is an avid record collector, mainly 70's and 80's Jazz and Rock. Here, too, we're talking about not present-day LPs. The two cousins chose to deal only with used records - regarding Jazz LPs, only first pressing or, at least, "vintage" original re-pressings. So, you won't find any of the contemporary re-pressings or remastering editions that are now invading the LPs market. There is a soundly based practical reason for this kind of commercial strategy, that, at first, I couldn't get. 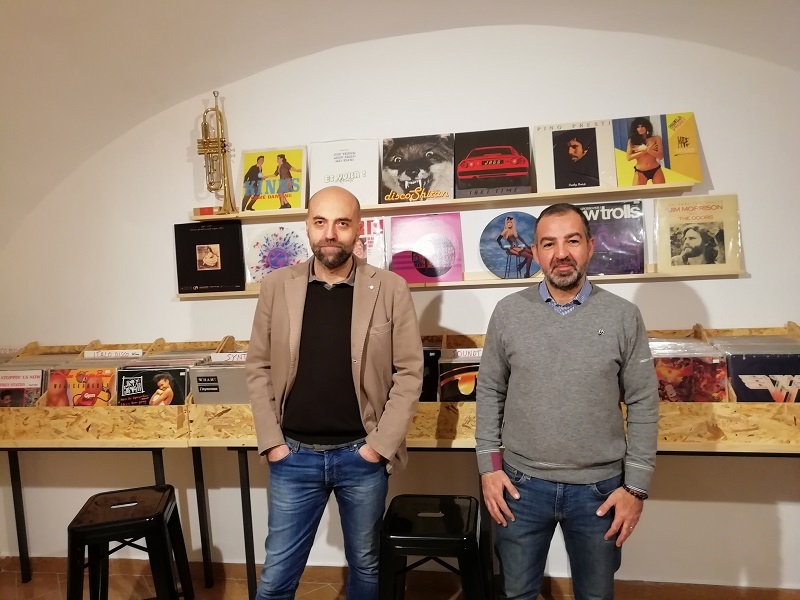 The two Mannas want to exchange pieces in their collection, they don't want to become resellers of record companies - they know they cannot compete with those companies' own distribution and reselling forces. 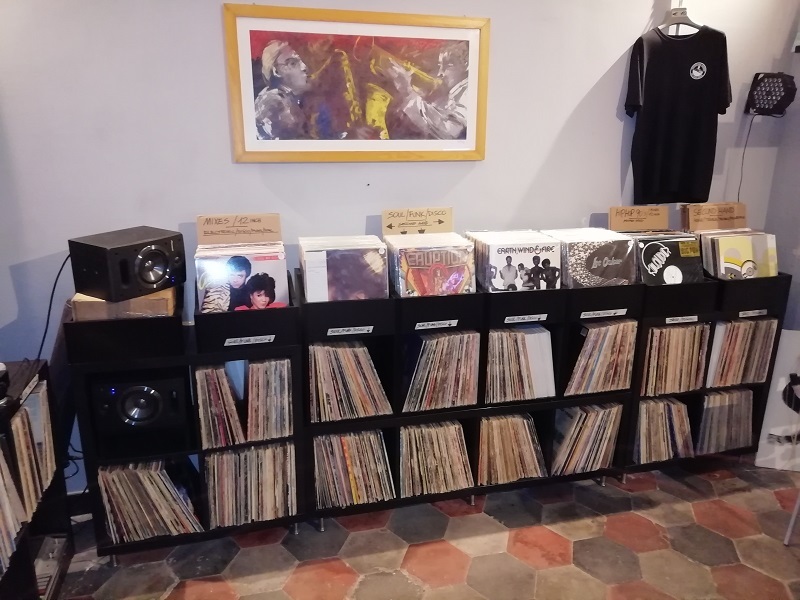 They think there's a commercial place for them, too - they think that there is no other record store like theirs, in southern Italy. 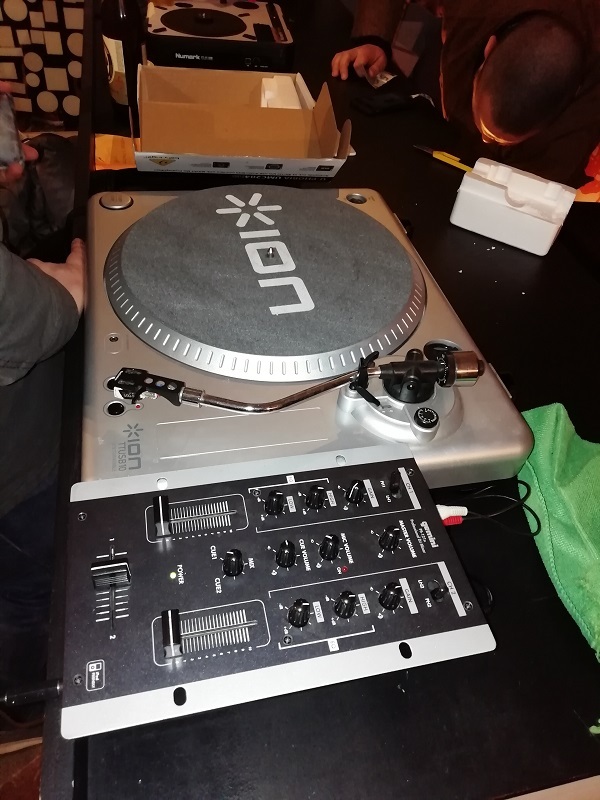 According to Raffaele, the 12-inch market has re-gained popularity amongst professional DJs - those same record spinners that joyously transmigrated aboard the digital boat... Moreover, you can't always find digital files of all the many special versions usually found on a single 12-inch record. Raffaele told me this while speaking about 12-inch records devoted to the DJ market, but the idea works for Jazz and Rock, too.. This summer the doors opened for VESUVIUS SOUL RECORDS, deeply rooted inside Naples' historical ancient centre, among its typical vicarielli (narrow alleys): it's placed in vico Santa Maria dell'Aiuto, and, in fact, its entrance is in front of this monumental church, one of the many you can find while visiting the streets of the ancient city quarter. who thought to open a meeting place for music lovers. This is only his starting point, because, as the name may hint, Vesuvius Soul Records aims to be also a record company, that can count on a recording studio outside the city. 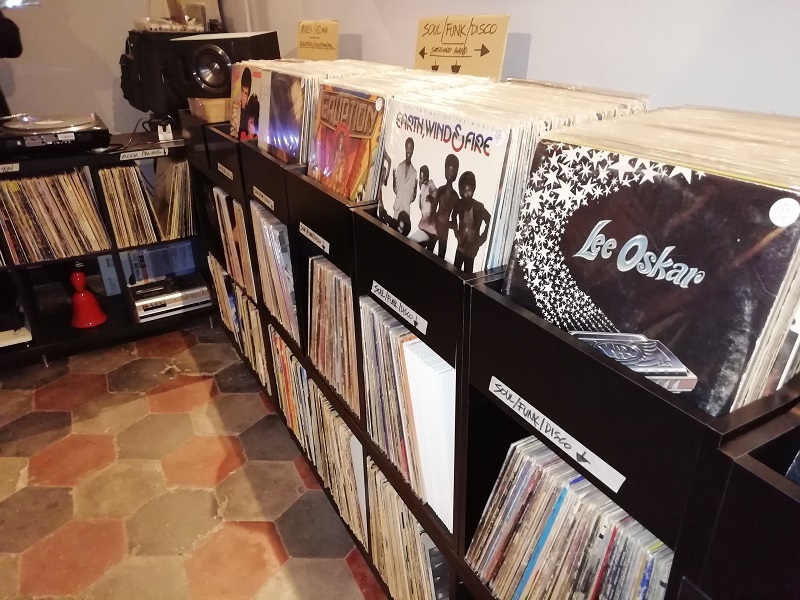 For now, Francesco set up only a small part of its rooms, where he put up bins full of records for sale. As the name suggests, you can find lots of Soul music, but not only that: there's also some Jazz and Fusion. All those records are original USA pressings, no modern re-pressings (but you can order them). 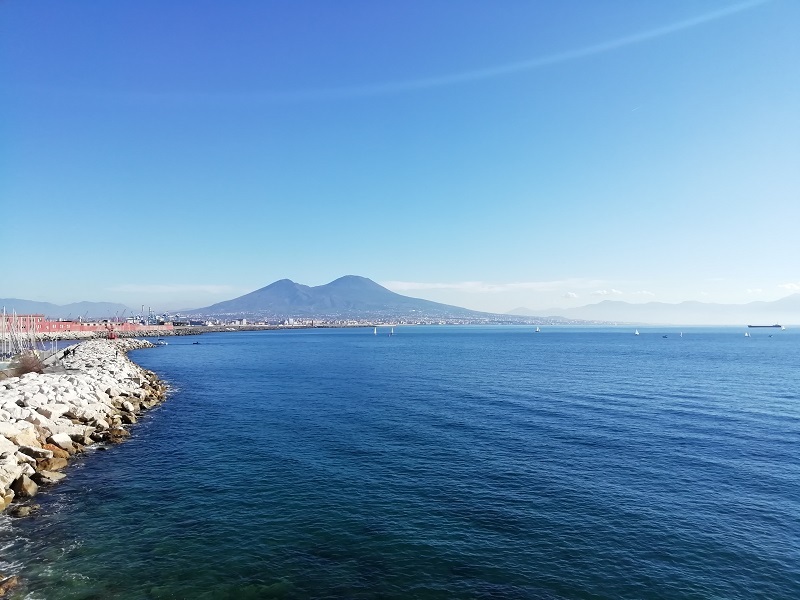 Moreover you can find original LPs of traditional Neapolitan pop music. There's also a console where people, if the crowd allows it, can spin and mix their own records (or the ones there for sale...). There are also setups for personal listening, where the customers can listen to the records before buying them. VSR's activities aren't limited to music production, record sale and the opening of a meeting point. Francesco wants to stress the social attitude he wants to create for his enterprise. This part of the city is actually very interesting, but has also its social and economic problems, and there's often a lack of cultural activities for residents. 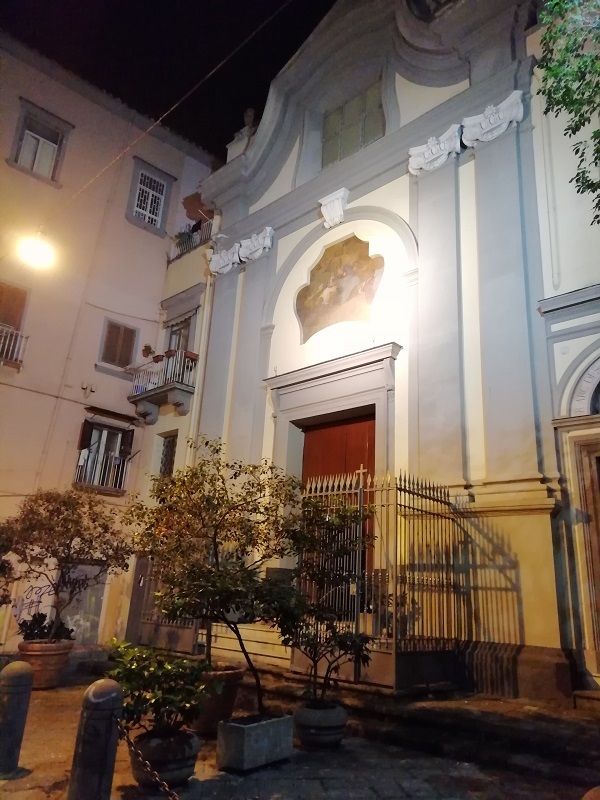 So, Francesco thought to make something in which the zone's young people could be interested, to provide them a cultural ambience to which they wouldn't normally be exposed. So, he agreed with a nearby school to make listening session for kids, during which he plays for them some of the records he has for sale. He not only makes them listen to records, he also shows those records to the kids - who may even not realise what a record is, so accustomed are they to see music as a commodity provided by their PC/smartphone/TV - and shows them that there are liner notes there to be read, so they may start to acquire knowledge of the number of people involved in a musical production and the collective effort behind every tune they listen to. He started with Neapolitan traditional pop music, just to show the kids the origins and the authenticity of our city's popular music, trying to make them understand that it cannot be reduced to the contemporary momentary hits repeatedly pushed on the radio or in "heavy rotation" in their cell phones' playlists. 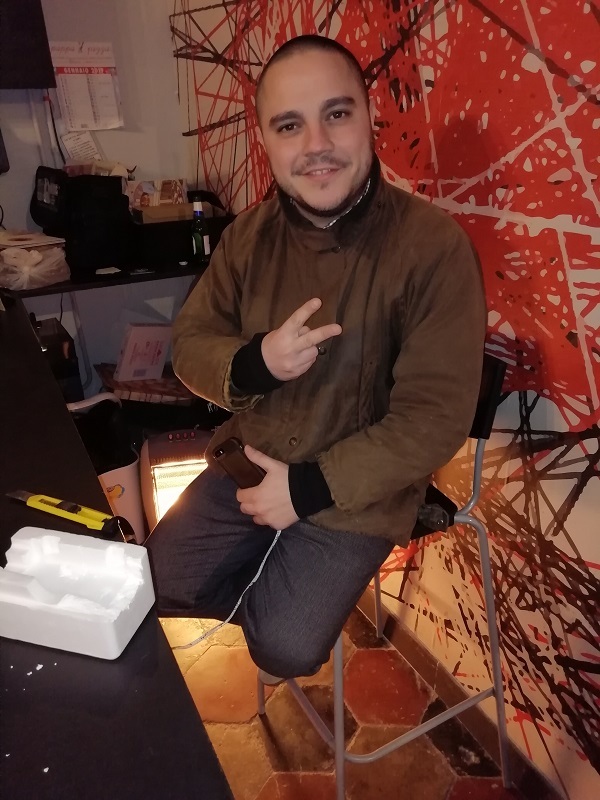 Besides, Francesco thinks to expand his sales also to some professional hardware. He actually also held - again, for the local young guys - a short introductory course to the use of the infernal toys for electronic music production, that are now become really affordable. In this case, also, the commendable "formative" spirit of his idea is evident. 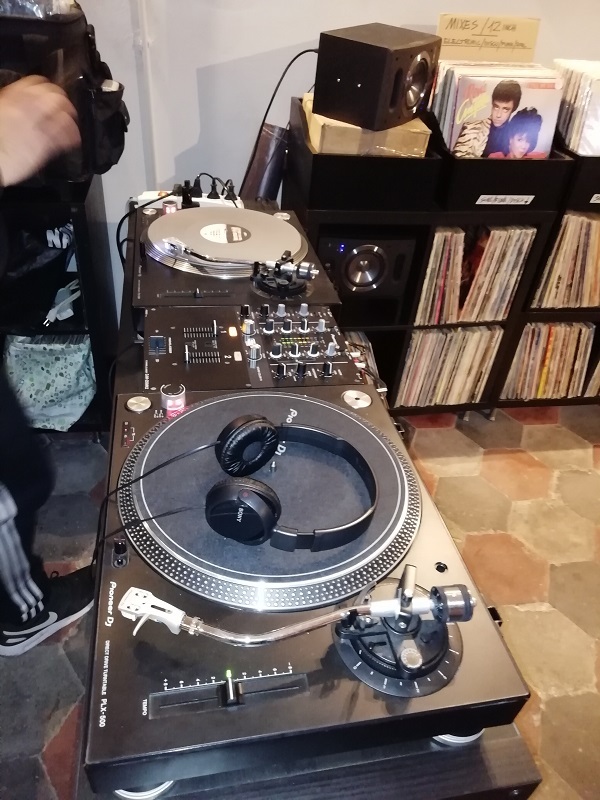 As you see, both of the City's enterprises are strongly inclined towards the professional fruition of music, both sport a DJ console, and both sell a big bunch of records devoted to the dancefloor. 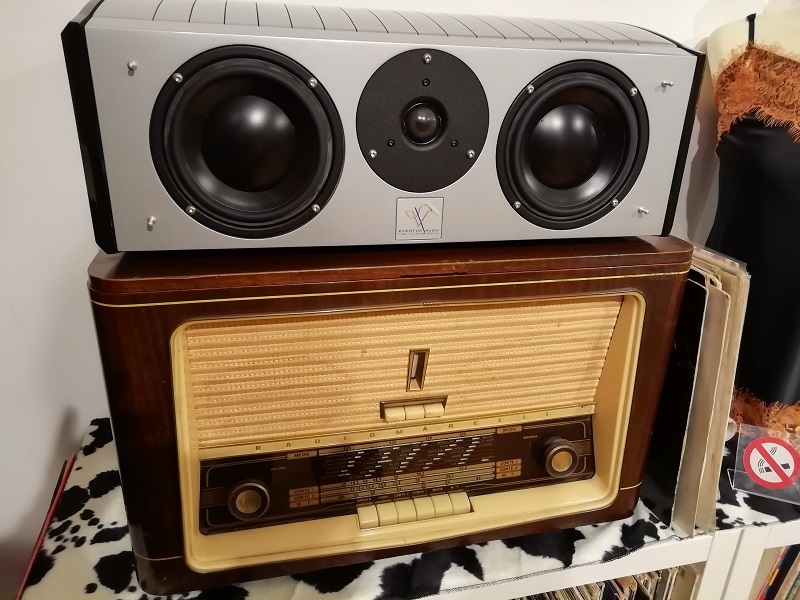 But, whichever your music tastes may be, I invite you to overcome your audiophile reticence - In fact, I think this is a further testimony of how much vinyl lovers owe to the People of the console, who contributed to keep alive the vinyl business (think of pressing plants, for instance), albeit for a limited category.